As a CompTIA partner, Asher College can help you get trained and Security+ certified right on our campus. Prove to employers that you have the IT security skills needed to keep their networks safe and secure. CompTIA’s Security+ does just that. The CompTIA Security+ Certification teaches students how to secure networks, computers, and servers. Our program provides students with knowledge of security concepts, tools, and procedures for reacting to security incidents and anticipate security risks so they can take action to guard against them. While the CompTIA Security+ certification is very valuable by itself, you can also combine it with other certifications to gain further credentials. 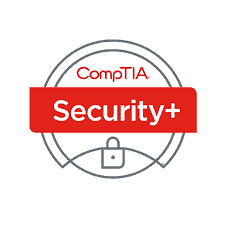 Succesful completion of the CompTIA A+, CompTIA Network+, CompTIA Security+ helps our students earn the CompTIA Secure Infrastructure Specialist. If you’re interested in learning more about careers in Network Security and exploring whether this is the right career path for you, fill out the form on this page to receive more information.